How to use my shop? What is the price for various services I offer? 1. 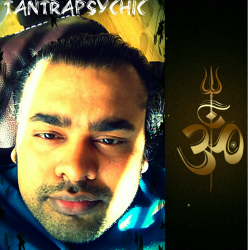 Please go to https://www.facebook.com/tantrapsychic/app_149696141763776. 2. Then click on all categories drop down button. - You will see all categories of services available. 3. Then click on the type of reading you want for example if you want psychic readings click on it. 4. You will see various packages along with their respective price. 5. Click on the package/product you like and want to know more about. 6. You will then be able to read the description about that service/reading. 7. Please read the instructions given in the description on every product about what info I need for that particular reading, is it email or Skype reading, in which countries I offer phone readings etc. 8. When you have decided on to what reading you want to order. Then simply click on the BUY NOW button in Green color. 9. My shop is connected to PayPal which accepts payments directly from PayPal or various credits cards including Visa, Master card etc. 10. Once I have received your order. I may reply to your order if some info required for the reading is missing or to schedule the appointment (date & time) for 1 to 1 Skype/Phone reading, which suits both of us. Special Note:- You need not have to have a Facebook account or not even need to log in to your Facebook in order to use my shop.. Nothing will be shared on your Facebook if you choose not to..
All your information will be kept confidential and will not be shared with any one..
You do not find Terms and Conditions? And the Terms and Conditions for paid readings are also given in my shop and in various products as well.